The game features a typical mobile game energy system, with a rechargeable energy gauge that is spent by participating in battles. Build a team and battle by using each character’s different Arts Cards to unleash powerful attacks and abilities that support and strengthen your team. Dragon Ball Legends is free-to-play and does feature microtransactions, including the paid currency Chrono Crystals, which can be used to summon new characters. As with most mobile games, your progression will be limited by two factors: the energy gauge and accumulation of in-game currency. Energy will automatically restore at a rate of one point of energy each 20 minutes (to a maximum of ten energy points) and can also be refilled using Chrono Crystals. Additionally, any excess energy gained while at maximum energy is automatically stored in the Energy Tank, which can hold a maximum of 99 energy points in reserve. In-game currencies, however, will obviously take a bit more active effort to accumulate. In this guide, we’ve outlined the current best methods for earning these currencies. In addition to the Chrono Crystals, there is an in-game currency called Zeni which is used, along with Souls, to strengthen your characters, upgrade their equipment and empower their abilities. 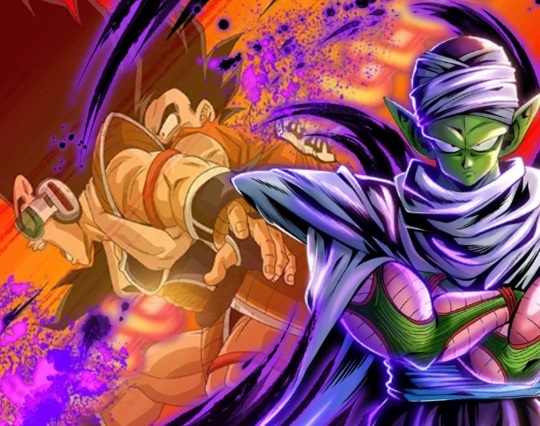 Zeni is also required to send your characters on Adventures, which yield Souls, experience and other helpful items such as Training Weights (used for earning character experience in Training mode). While technically not a currency, upgrades will also cost a substantial amount of Souls (available in both Rising and Super flavors of multiple colors and rankings), so you may also find yourself needing to farm these as well. Both Souls and Zeni are obtained through completing story chapters and events, which can be repeated to continue earning rewards. You can also earn currency by participating in Ranking PVP battles, which offer substantial Zeni rewards. Zeni is also rewarded by select progression-based Missions, which require certain criteria to be met (such as completing specific story chapters). Currently, the best way to obtain tons of Zeni is by farming the Event Story missions. You can start farming the lower levels of this event with an average party power level of about 200, and you’ll want at least one to three characters at 400 to 500 power to take on the higher levels (EX-4 and EX-5) for maximum rewards. EX-5 is particularly challenging, so if you can only handle EX-4 that'll be totally fine. The actual Zeni reward from the missions is fairly low, but completing these missions will also reward equipment items which can be sold for substantial Zeni. These items will sell for 10,000 Zeni each and you will pretty much always get at least one equipment item per success. Do keep in mind that each piece of equipment will have different stats, so make sure you don’t accidentally sell something you’d want to keep. Selling the equipment is easy: Simply click on “Character” then “Equipment.” Select the equipment items you wish to sell (you can sell up to 20 at a time) and enjoy your Zeni! You can complete these missions as many times as you’d like as long as you have available Energy. Finally, Adventures will cost you Zeni to start, but you’ll always at least double or triple your investment.They’re a great way to earn experience for your characters along with Souls and items. Adventures will take time to complete (at the moment all Adventures take 30 minutes), so you can just set some characters on their way and just check back when they’re done.